“The single biggest problem in communication is the illusion that it has taken place.” -George Bernard Shaw, Irish author, playwright, critic and winner of the Nobel Prize in Literature in 1925. Somewhere between the moment someone speaks and another responds, communication often breaks down and persuasion fails. If communication is the bridge that persuasion must cross to travel from the realm of ideas and intentions to that of words, understanding, decisions and action, a broken bridge just won’t do. Diplomacy, fear of rejection, political correctness—there are many reasons why we sometimes don’t say what we mean or mean what we say. And even when we do, what we say isn’t always what is heard. We’ve all experienced the fallout of ineffective communication. A conversation suddenly goes south, fatally wounded by misunderstanding, misinterpretation and misinformation, not to mention the “wrong” tone of voice or facial expression. Communication barriers not only hinder personal relationships but can also obstruct professional associations and seriously compromise negotiation efforts. Persuasive communication is not an extravagance or an accessory found only in the skill sets of sales people. Whether you aim to influence your kids’ behavior, convince your employees to meet deadlines or your boss to give you a raise, you will need these skills to get what you want. Most people are unaware of how badly they’re failing at communicating and persuading others, regardless of how many times they hit the skids. Time and time again, they do the same things, use the same techniques they used the last time they met with disaster. Ambition may compel them to win a debate no matter what. Pride may keep them from seeing straight. Stupidity may twist their intentions. But lack of awareness is always a culprit, for when you inject this awareness, both communication and persuasion improve. One way to figure out what works is to first become aware of what doesn’t work. These include distance, background noise, poor or malfunctioning equipment, bad hearing, poor eyesight, speech impediments. Emotions (anger, fear, sadness) and attitudes (having to be right all the time, believing oneself to be superior or inferior to others) affect objectivity, as do the stereotypical assumptions that people make about each other based on cultural background. Speaking different languages, having strong accents, using slang or jargon can frustrate communication and negotiation efforts. Examples, stories and anecdotes can help get a point across, except when the audience cannot relate to any of these because they don’t share a common experience with the speaker. Not making eye contact is a sure way of raising doubt in listeners and losing their attention and making them feel suspicious of you, not to mention invisible. Too much information can confuse your audience and even make them wonder if you’re overwhelming them with details to avoid telling them something else they would rather know. If you’re not prepared, if you lack the facts, if you rely on your Power Point presentation too much, your listeners will notice and feel let down, even disrespected–and they won’t believe you. When you talk, you’re not listening, and you need to listen to the people you’re attempting to persuade. When you try too hard to persuade someone, you may seem desperate, and desperation smells like manipulation and turns people off before you can utter your next desperate word. If you don’t believe in your position, product, service, or whatever you’re trying to sell, they won’t believe in it either. 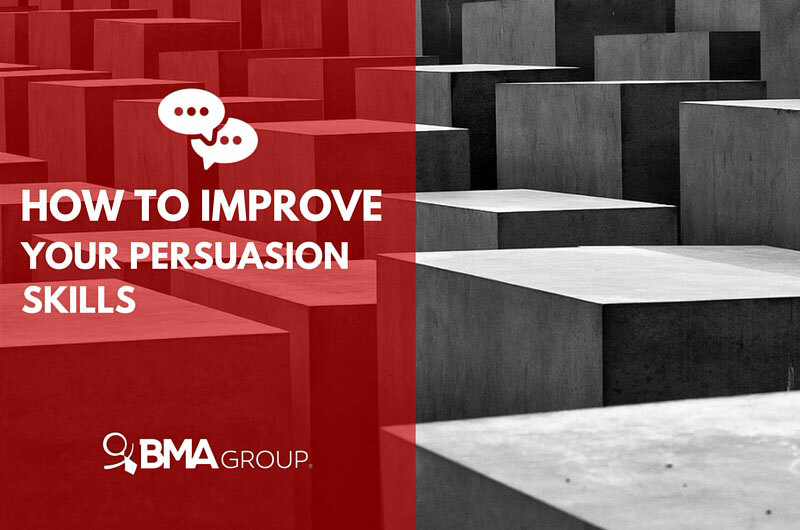 While some people are natural persuaders, persuasion skills can be learned like any other. Cultivating these powerful skills is essential to influence the decision-making and behavior of others and thus achieve your own and your organization’s goals. Neglecting to sharpen these skills usually results in failure to get what you want and what you’ve worked hard to accomplish. ​​Did you like this post? ​Subscribe to our blog and stay informed. Excellent post. Goes direct to the important areas of communication. Thank you for your feedback, Mario! We’re delighted you found it helpful. Very impressive blog. No doubt, these are real barriers which are obstacles in effective communication. By removing these barriers, you could improve your communication. I think these 11 key points are the backbone of effective communication. Thank you for your comment! Through our blog, our main goal is to educate and provide useful and actionable insights that will be of real value to our fans, friends, partners and clients! Have a great day!! Good work I appreciate a lot.